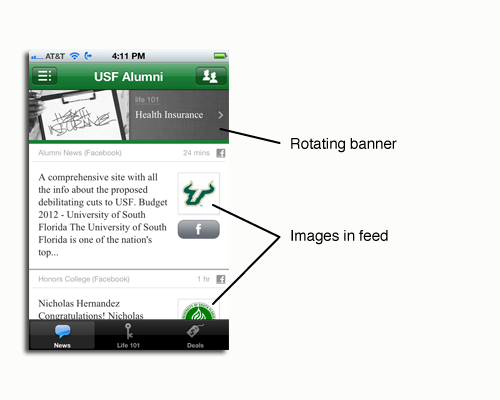 Over the past few months, we’ve been busy bees building a great new update to our app, Crib Sheet. Now we’re really excited for you to see what all the buzz is about. The most obvious improvement can be seen in the news feed. We’ve added an image to every story to add more beauty and “pop” to the app. 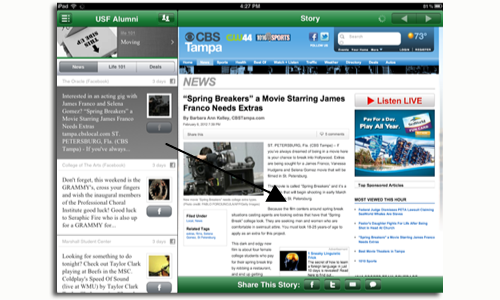 The banner at the top of the news tab also rotates to make the app feel more “alive”, and to remind users about all of the great content the app has to offer. 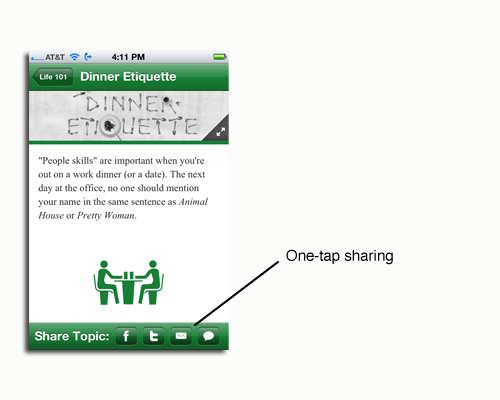 You’ll find one-tap sharing on almost every screen of the app. 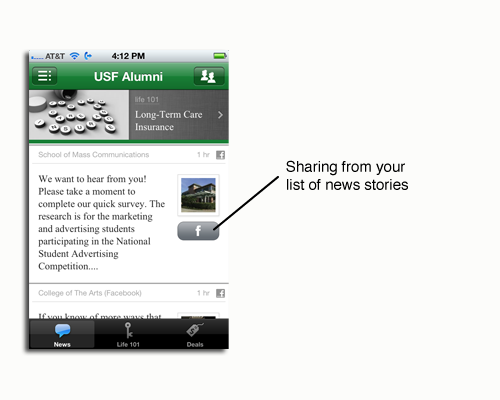 We think that easier sharing on Facebook, Twitter, email, and SMS will result in many more downloads and visits of your app. 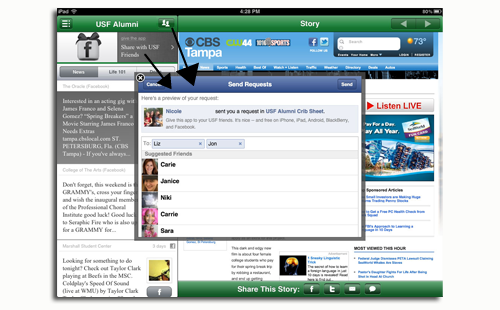 Since Crib Sheet is customized for a school or organization, we think sharing the app with a smaller group of friends (e.g. fellow alumni) is more powerful than sharing with ALL friends. 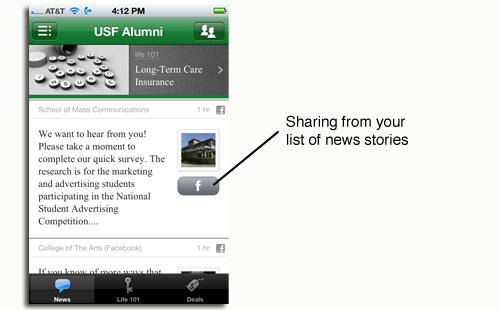 So, we’ve added a special Facebook sharing function which allows users to share with friends from ONLY your organization. Speed in an app is crucial, so we found ways to increase speed and reduce taps everywhere. 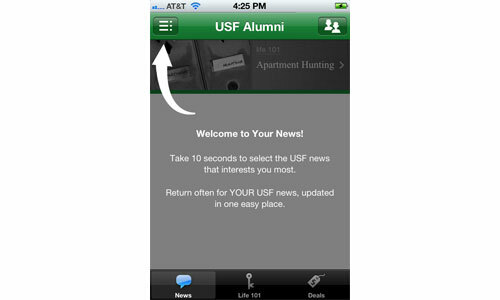 For example, you’ll find a faster news feed and one-tap sharing right from your news feed. 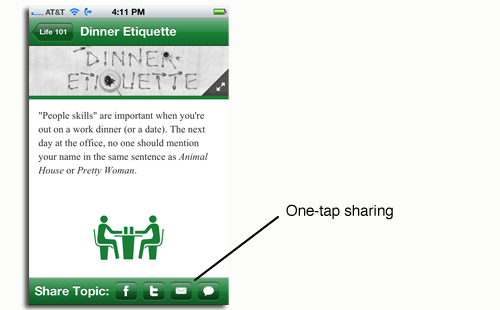 We provide more instructions for the best way to enjoy the app. 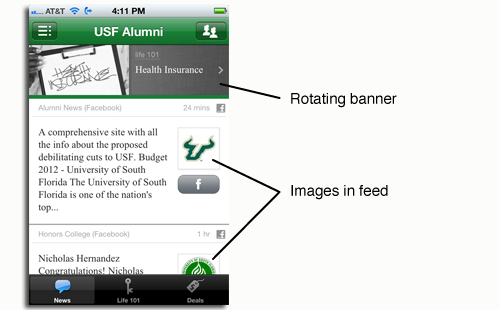 Our rotating banner provides more helpful tips. 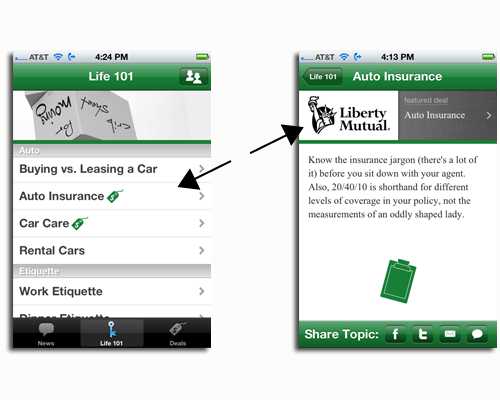 We view advertisers as important partners to the app. Our advertisers give schools the chance to subscribe at discounted rates and they give users the chance to take the “next step” when learning about auto insurance, investing, etc. So we’ve made ads more visible (when in context) within our life 101 content. It’s with great excitement that we debut these updates. 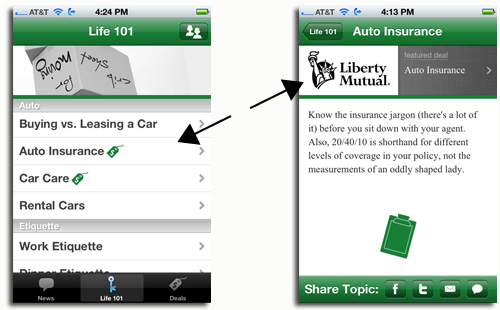 Search almost any app store for “Crib Sheet” to see many customer examples. We welcome feedback or suggestions – e-mail me. 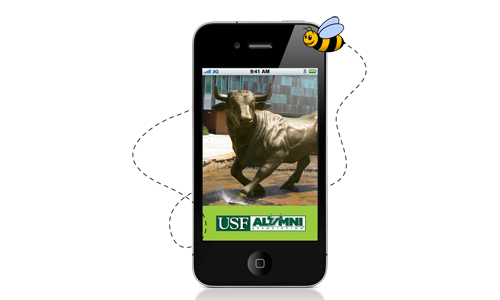 We are already back in the hive, working to make your app experience even sweeter. What’s on the minds of your alumni? Your Mobile Strategy: A Fish or Dog?